In 1917 the U.S. Coal & Coke Company, a subsidiary of U.S. Steel, built the community of Lynch, Kentucky, then the world's largest coal camp. 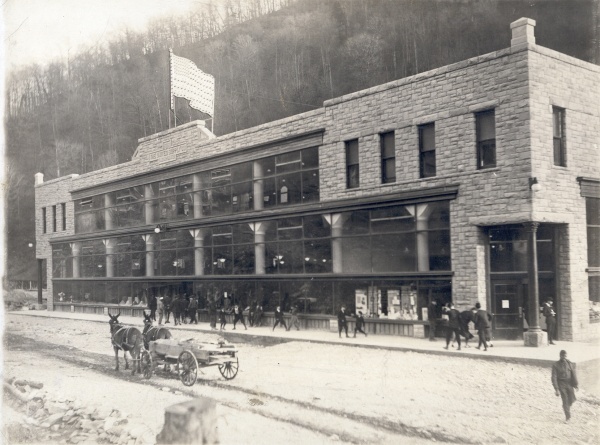 The coal camp was built on part of the 19,000 acres the company had purchased in the southeastern tip of Harlan County, near the Virginia border. 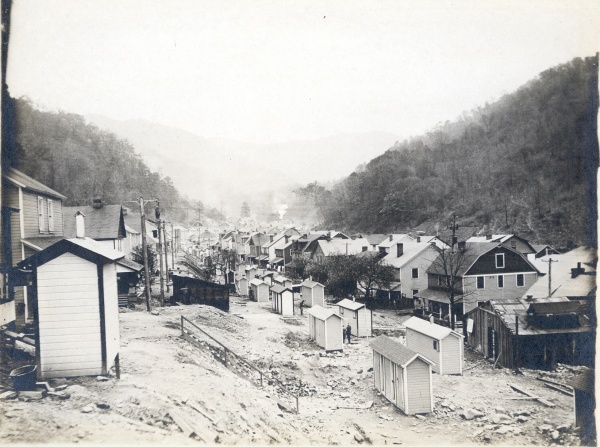 The camp's population peaked at about 10,000 persons but the reported figures vary because of the transient nature of the miners and their families at that time. One thousand company owned structures provided housing for people of 38 nationalities, the most prominent of which were Italian, Spanish, Czech, Polish, English, Welsh, Irish and Scottish. 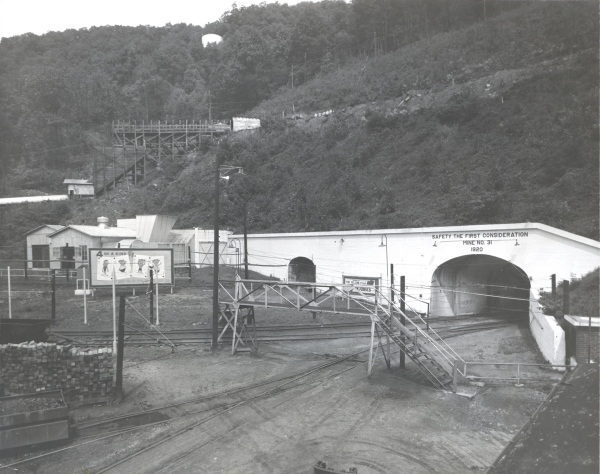 By the 1940s this mining complex employed more than 4000 persons above and below ground. 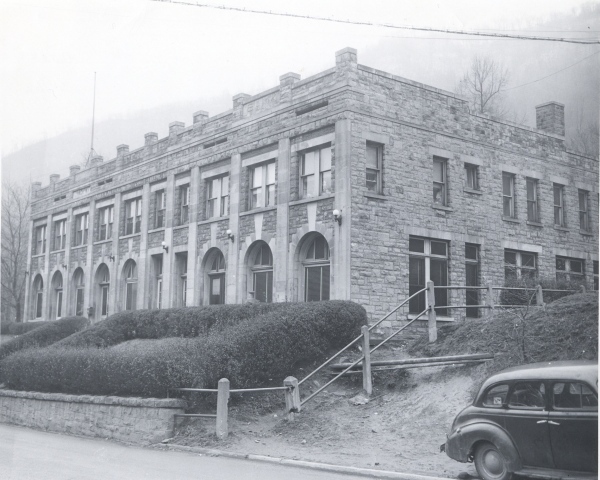 The public buildings were constructed of cut sandstone, and included a company commissary, post office, theater, hotel, hospital, churches, and schools. 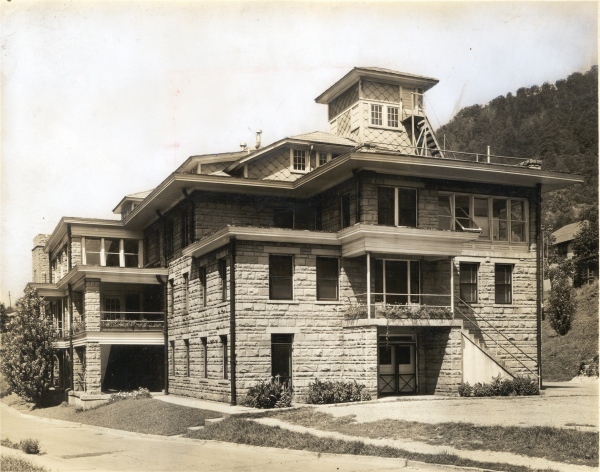 Many company buildings were built of stone as well, such as the offices, bath house, power plant and lamp house. 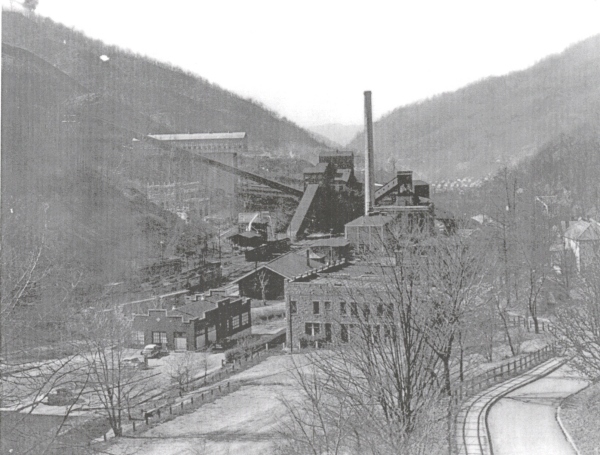 In the 1920s U.S. Coal & Coke owned the world's largest coal tipple with a capacity of 15,000 tons. 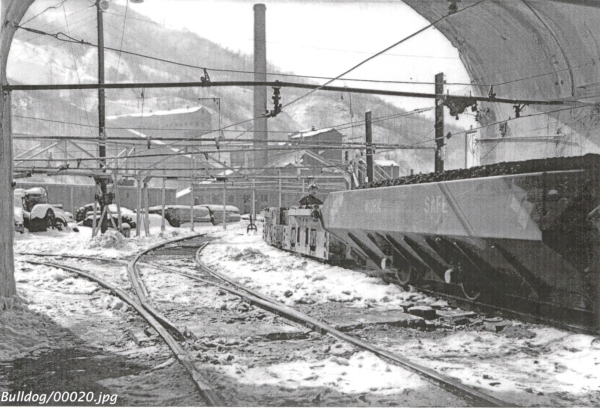 On February 12, 1923 the world's record for coal production in a single 9 hour shift was achieved when miners operating 40 shortwall cutting machines produced 12,820 tons of coal, filling 256 railcars. 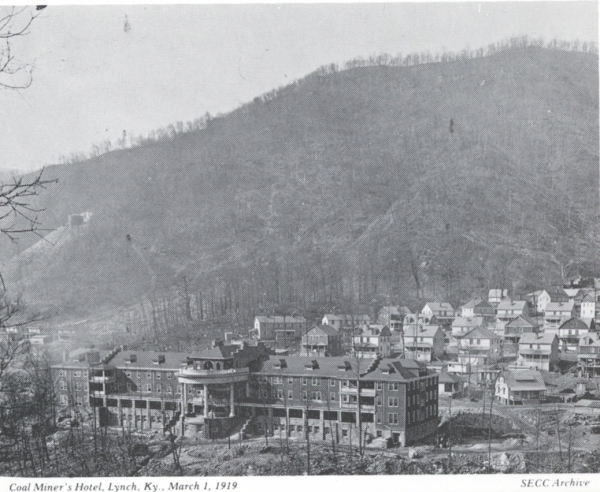 While considered one of Appalachia's model coal camps due to its' company provided health care, education, churches, housing, social services, wages and benefits and recreation, it was still a closed community where the company carefully controlled all aspects of the political and economic process. 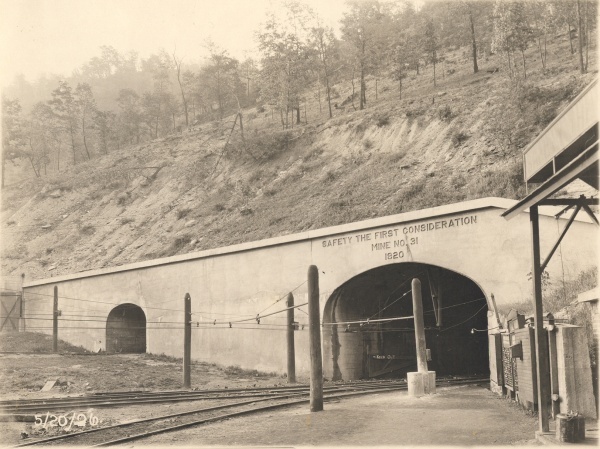 The company had their own police force and it was used to keep union organizers out of the coal camp and to intimidate miners who tried to join the union. 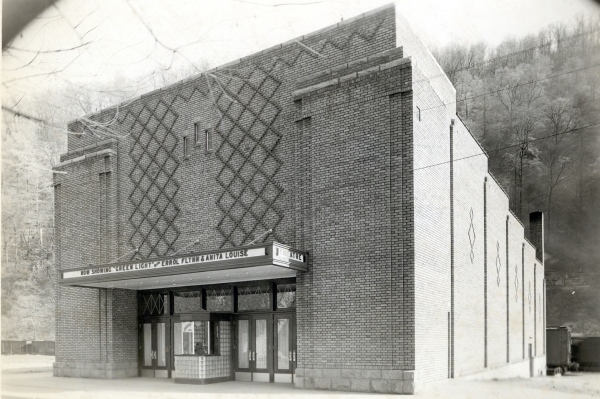 Throughout the 1920s and well into the 1930s the company along with many Kentucky coal producers did everything in their power to prevent unionization. 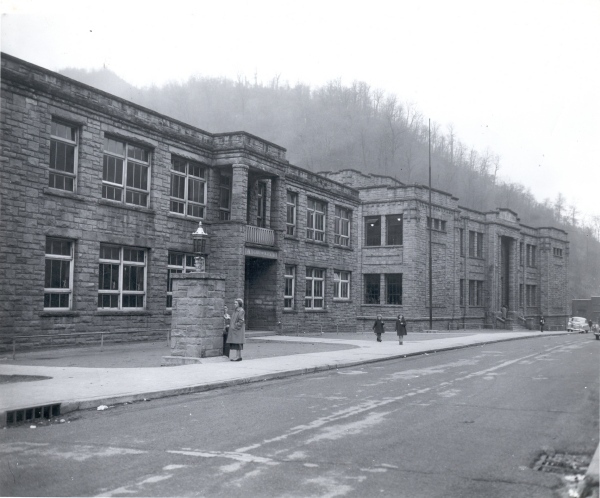 This action by the coal companies and the actions of the miners earned Harlan County the name of "Bloody Harlan". 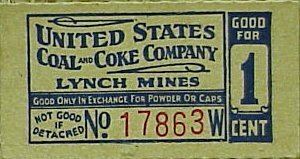 All the coal produced at Lynch by U.S. Coal & Coke Co. was "captive coal", meaning it was all produced by U.S. Coal & Coke Co. for U.S. Steel consumption, and was produced from drift mines. 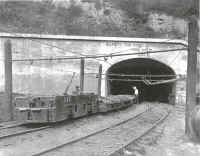 All coal was shipped from Lynch to U.S. Steel plants via the L&N (Louisville & Nashville) Railroad. 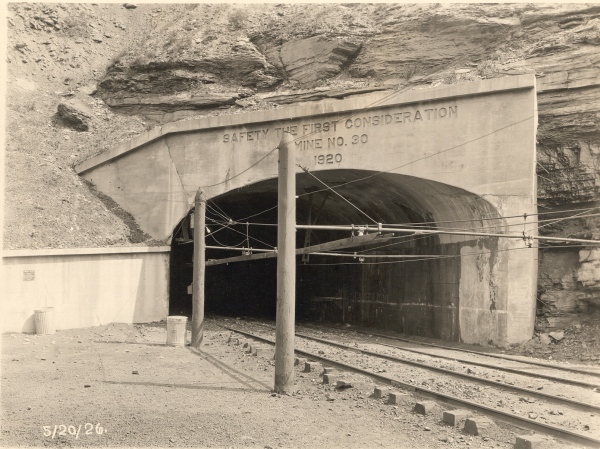 Coal was mined from the 56" Elkhorn C Seam, 56" Keokee Seam, 50" Kelioka Seam at the company's No. 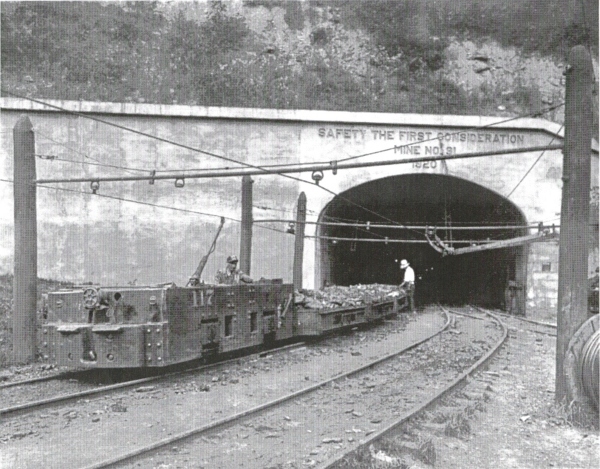 30 and No.31 Mines at Lynch. 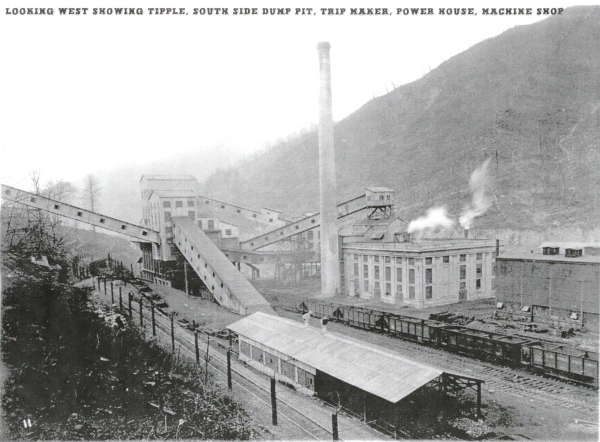 U.S. Coal & Coke also mined coal at Gary, Thorpe, Elbert, and Filbert, West Virginia. 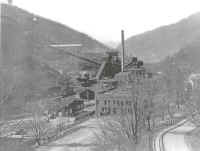 Today many of the company's buildings, including a tipple, and a mine portal are part of a coal mining museum complex at Lynch. 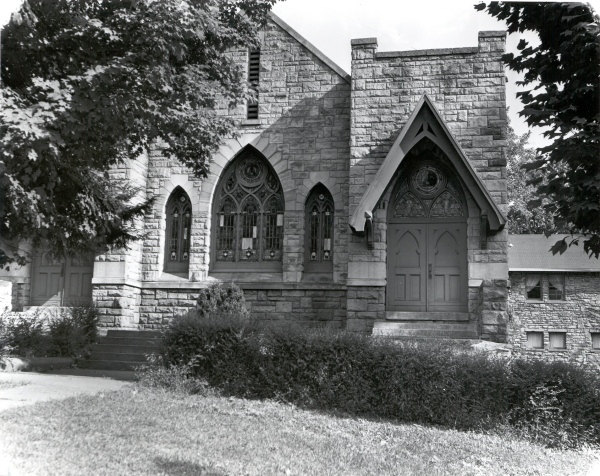 In the 1950s the company began selling homes to individuals and the town was incorporated, thus allowing for an elected mayor and town council, although still heavily influenced by the company. Incorporated as a fifth class city, it had a population of 1,517 in 1970, 1,614 in 1980 and 1,166 in 1990. U.S. Coal & Coke Co. 1 cent exploder certificate. United Supply Co. 1 cent scrip certificate.